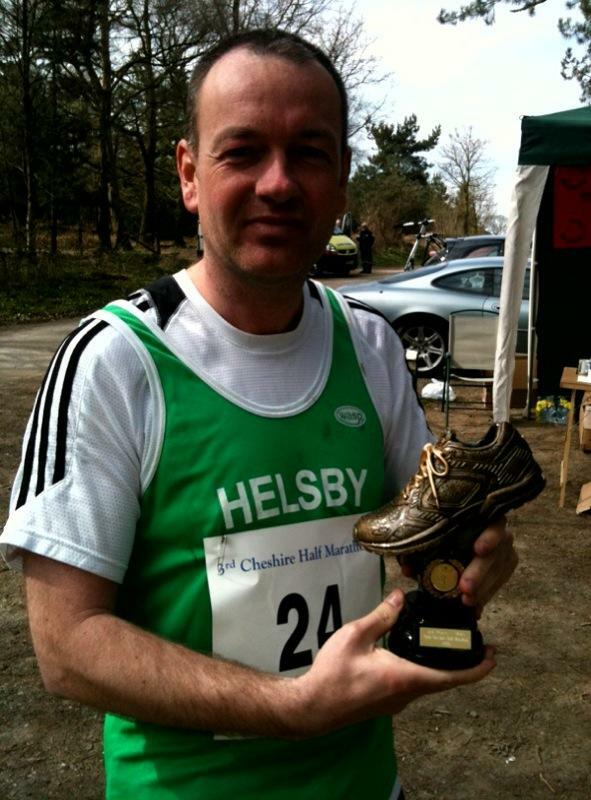 Published April 14, 2010 at 591 × 800 in Helsby’s Dave Madders 1st at Cheshire (Delamere) Half Marathon! Nice one Dave. Smart little trophy that too!